Performing a recent Pittsburgh appraisal, I thought a post on realtor.com was interesting. There was a recent realtor.com article 6 Costly Mistakes First-Time House Flippers Make. This article was interesting due to many of the situations I have seen considering we do work for many flippers. One in particularly that was NOT in the article which should have been and I will go over that later with a personal story. I will include a link to the realtor.com article below. However, in the mean time, I will just briefly cover the 6 included and the 7th NOT included. NOT GETTING A HOME INSPECTION: Cost over runs due to unforeseen problems can be a killer. Even if you plan on gutting the property, there very well could be structural problems not noted by an inexperienced contractor or flipper. OVERESTIMATING YOUR RENOVATION SKILLS: Most of the seasoned flippers we work with have construction teams and/or at least a general contractor helping with the remodel. With professional help, not only is the quality of workmanship at a minimum comparable to the rest of the neighborhood but it speeds the flip up and you will be able to put the home back on the market that much quicker. UNDERESTIMATING OVERALL COSTS: This coincides with #2 above and the story (#7) later in this blog. BEING A JERK: For whatever reason I thought this was funny. Some good advice however. JUMPING THE GUN: NEVER, I repeat NEVER put a home on the market before it is completed. DESIGNING A FLIP LIKE YOUR GOING TO LIVE THERE: Basically, you have to look at a flip as a purely business transaction with absolutely NO emotion whatsoever associated which is different when it comes to a home you will want to live in. You don’t want to make those Costly Mistakes First-Time House Flippers Make, so my 7th mistake is a flipper should look at the buying process just like the bank does. That includes ALL the documentation that would be needed for a mortgage which would include an appraisal. Ok, I can hear some think ‘Here It Comes, the Sales Pitch’. Not necessarily! We do many appraisals for flippers wanting to verify completion value to make sure acquisition and construction costs add up and make sense. 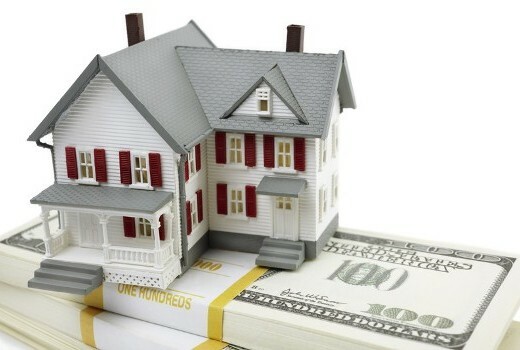 Additionally, we do many appraisals for FNMA for their REO (real estate owned or foreclosure) department. They want not only ‘As Is’ value, but how much it will cost to repair and how much it will be worth when completed. This leads me into my #7 get an appraisal story. We received a call from a seasoned flipper who moved into an area he was unfamiliar with and had the sales agreement contingent on an appraisal. After talking to him we decided to leave no stone unturned a moved forward with an appraisal similar to a FNMA REO appraisal. We met at the property and I completed the inspection. He told me what his plans were so the report was developed like all the other FNMA REO appraisals. In brief, considering a flip is a business transaction, flippers want to make a certain ROI (return on investment) to make the flip work. The numbers derived within the appraisal will help the buyer decide if he would move forward or move on to the next flip. So, in brief, the ‘As IS’ value was $55,000, the repair estimate (we use retail cost) was $45,000 and the after completion value was $125,000. This would have netted my client a $25,000 profit. I have found most flippers won’t even touch a property under a 35% ROI. So my client was now armed with the information to be able to make an informed business decision on moving forward or moving on to the next property. It was obvious he was NOT making those Costly Mistakes First-Time House Flippers Make. Ok, I won’t leave you hanging and I will tell you what ended up happening. My appraisal had a $55,000 ‘As Is’ value. However, my client had the property under contract for $35,000. That was a $20,000 difference. My retail repair costs were $45,000. However, his contractors repair costs were $25,000. That was a difference of $20,000. So combined, the original appraisal $25,000 profit added to the $20,000 difference from ‘As Is’ value and another $20,000 for the difference in repairs boost the ROI for my client to $65,000. My experience with construction is there is ALWAYS overruns, so this more than covers any overages that he may incurre. Bottom line: So as not to make any of those Costly Mistakes First-Time House Flippers Make, treat a flip the same way a bank would look at any home loan, do your due diligence and you should fare quit well. Here is the link to the realtor.com article and if you are considering getting into the game, have fun and good luck.